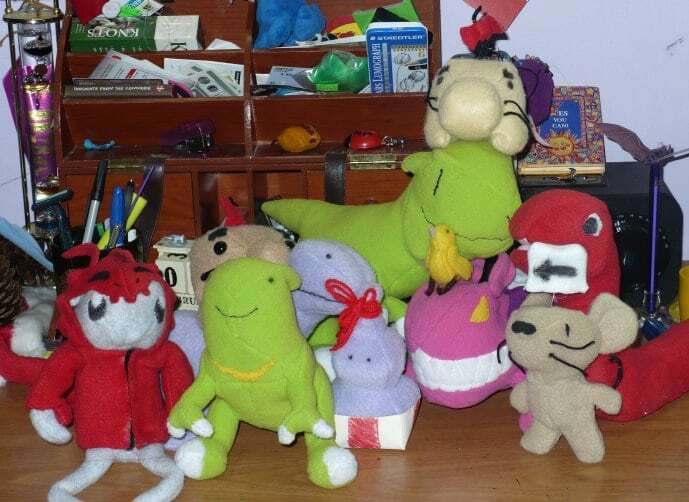 Starmen.Net forum user Plushraysetiger posted this just a few hours ago. It’s awesome 😀 All three games in the series are represented, even! I love that Giegue with the Giygas hoodie on 😀 More pics here! 17 Comments to EarthBound Plushie Mania! No, really. I will buy all of those. For ANY price. OH GOD I WANT THE ULTIMATE CHIMERA ONE. some patterns would be bitchin’. Because I’m confident I could make something like this if I had a bit of direction. Yeah, has Fangamer ever considered a line of plushies? Oh, I know. But I can dream! I NEED to buy those!!! I’ll… feel…H.A.P.P.Y. once I buy them!!! Gigue is awesome. Very cool design. That Worthless Protoplasm sure is cute.